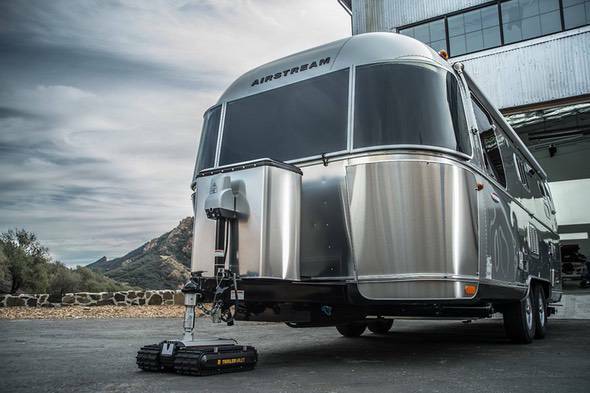 Imagine never having to back up your RV trailer (or any trailer up to 9,000-pounds for that matter) again. Some people make quick work of it while others can’t back a trailer to save their lives. 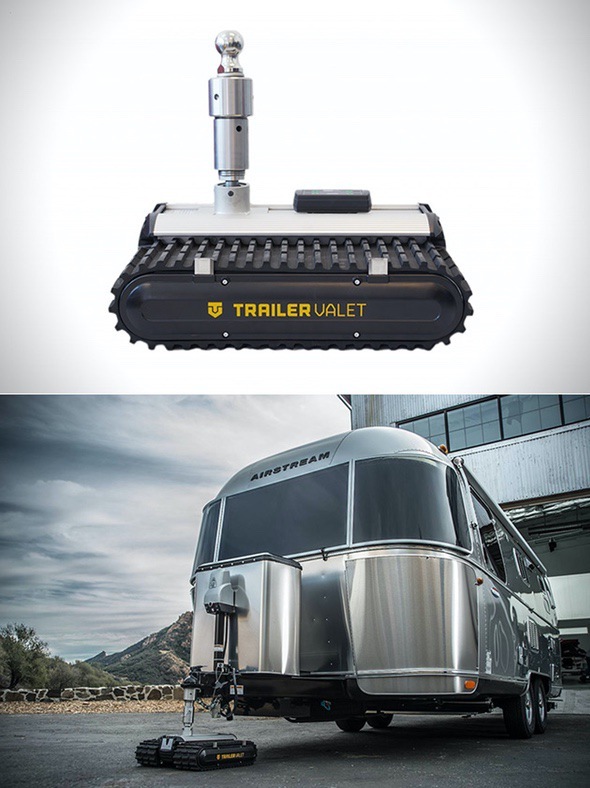 The Trailer Valet RVR makes backing trailers a snap. 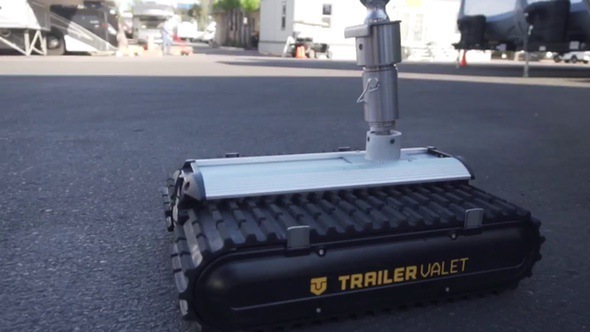 This robotic tank track RV parking machine is basically a remote control tank with a ball-hitch for your trailers. It has four planetary gear motors, caterpillar treads, 360-degrees of motion, and can traverse most surfaces. More picture sand video after the break. We have two Airstreams (that we hate to back up). Will this work for a 27′ and a larger 33′ trailer? All terrain? Also, we have a Hensley Hitch. Have you thought about an adapter for that accessory? I think it would sell.